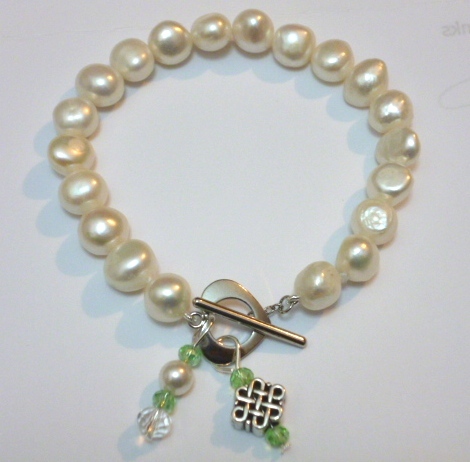 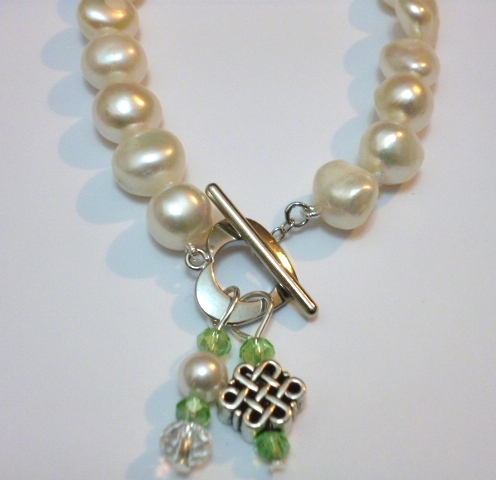 A really lovely bracelet of large gleaming white, lustrous baroque* pearls with pale green pendant crystals, a Celtic style 'Infinity' charm and a heart-shaped T-bar and toggle clasp. 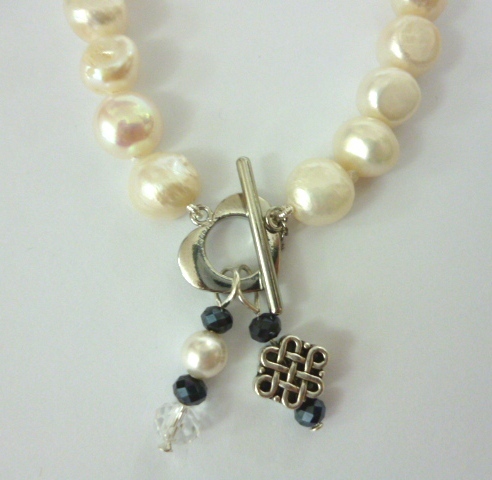 Your bracelet comes in a pretty and practical pouch, or a slim and handsome gift box, at no extra charge. 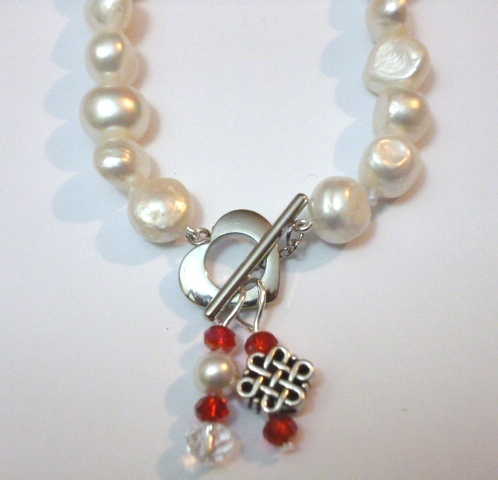 *Baroque is the word jewellers use to describe a pearl or gemstone that is naturally asymetrical and irregular in shape. 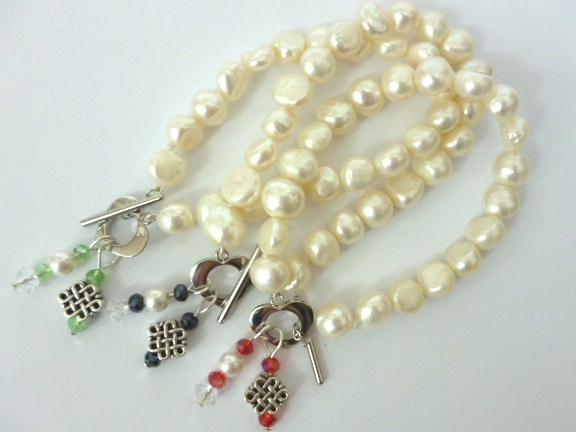 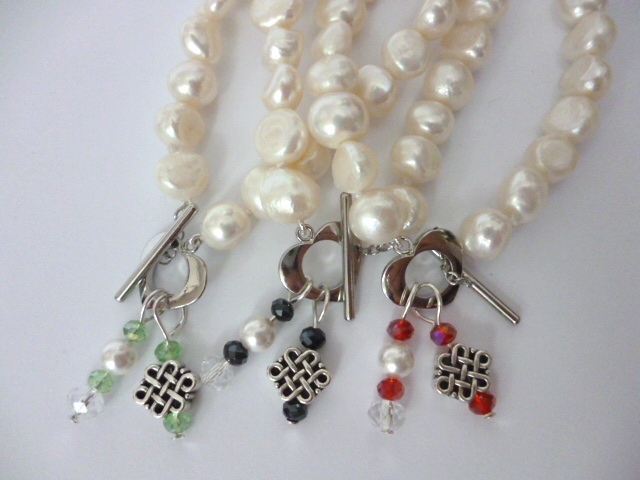 Each pearl is unique and the overall effect is one of infinite variety and interest.